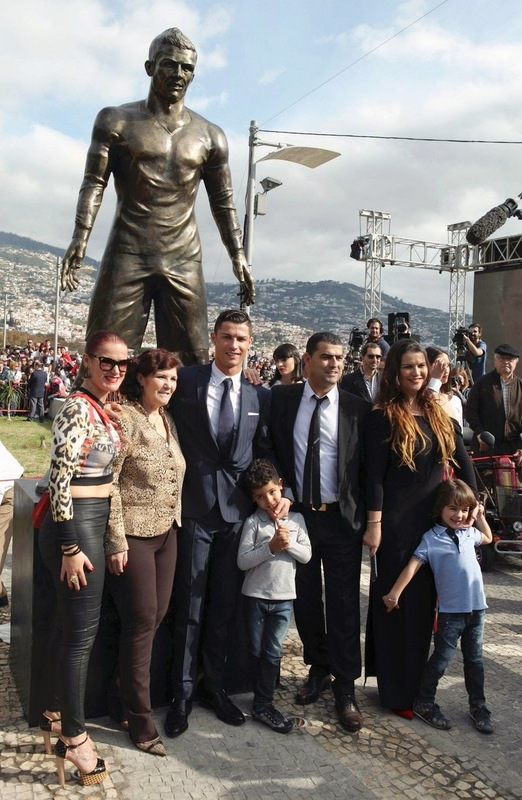 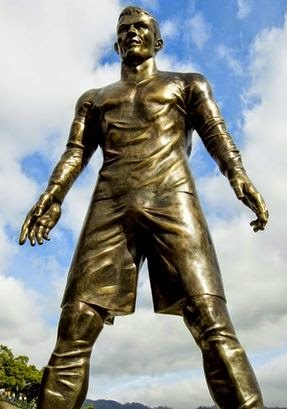 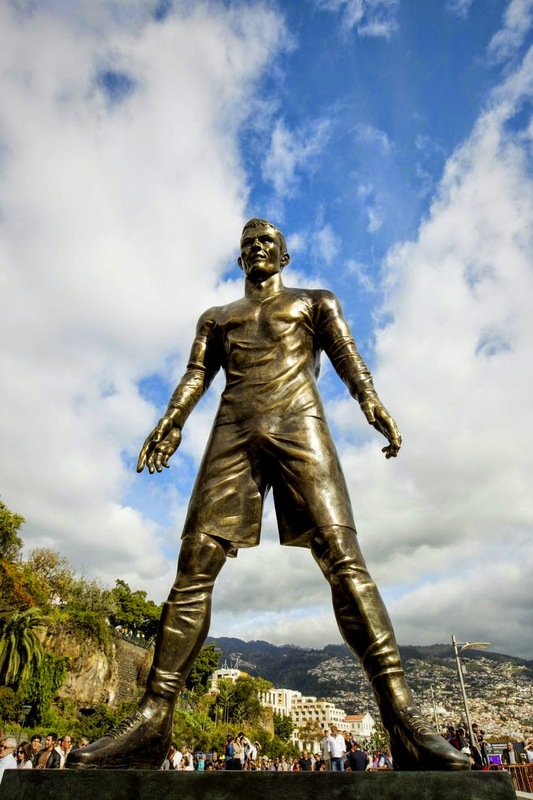 Real Madrid/Portuguese superstar and current world footballer of the year Cristiano Ronaldo's new statue was unveiled in his hometown of Funchal, on the island of Madeira recently, and what caught people's attention was the massive bulge on his. 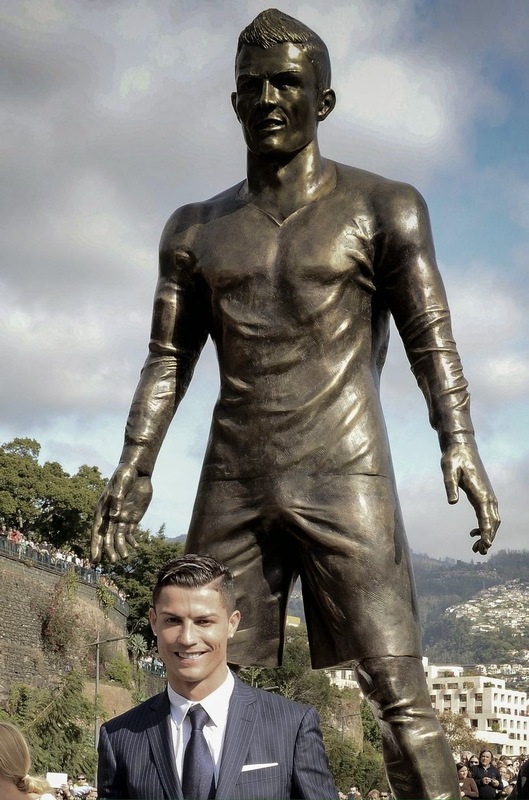 Ronaldo is known to be a little vein, so did he specifically ask for that? 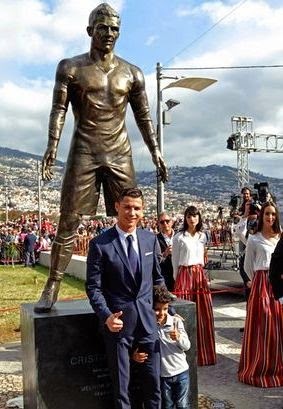 ...I like it sha! 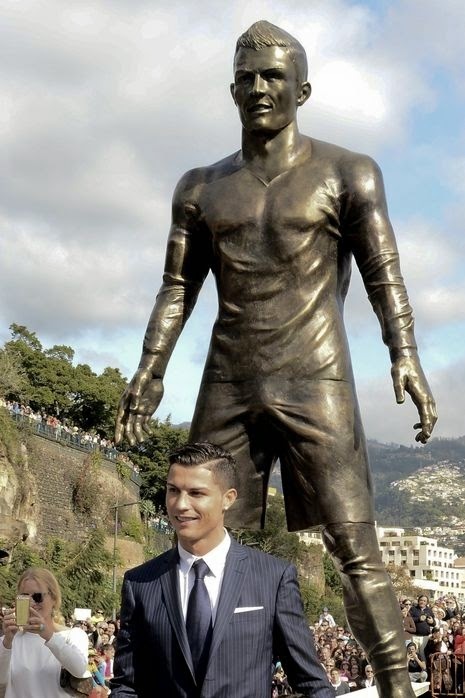 Hehe!